This open worked sterling silver Irish pendant combines the never-ending knot work of our Celtic past together with a central Trinity knot. This Irish celtic necklace is completed with trinity decoration to the bail. 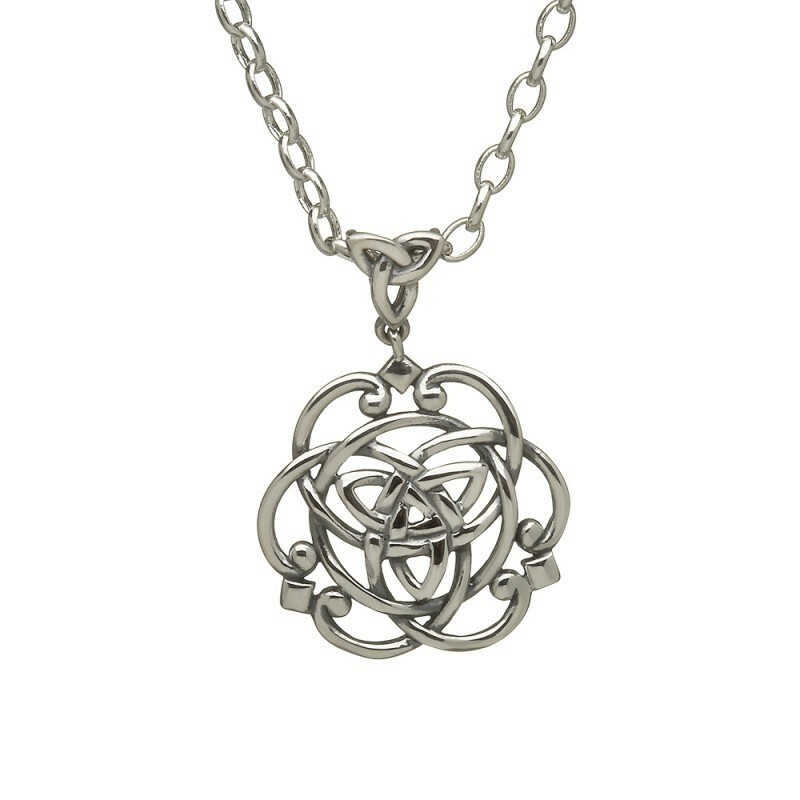 This Irish pendant is handcrafted in Ireland and comes attractively gift boxed.